Man Victor (b. 1974, Romania) Lives and works in Berlin and Romania. One of the most successful contemporary Romanian artists in the world. Known for his realistic oil paintings, although in recent years he practices other mediums with great success. Held numerous solo exhibitions around the world including at the Galerie Neu, Berlin, Gladstone Galleries in Brussels and New York and Plan B Gallery in Romania and Berlin. Participated in the 2005 Prague Biennale and the 2007 Venice Biennale. 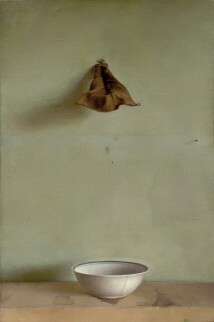 Exhibited in Israel at Contemporary by Golconda and in a group exhibition at Jerusalem Artists House, curated by Amitai Mendelsohn. Recipient of the 2014 Artist of the Year prestigious award presented by the Deutsche Bank.